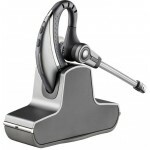 The CS530 works with your desk phone only and has a custom design over the ear (and in the ear) wearing style. 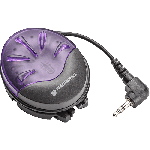 It's lightweight, stylish, and comfortable and it has soon established itself as one of our more popular wireless headsets just like the previous CS70 that it replaced. 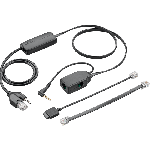 If you're looking to answer calls away from your desk you'll need a HL10 handset lifter or an Electronic Hook Switch depending on the phone you have (call our staff for assistance). 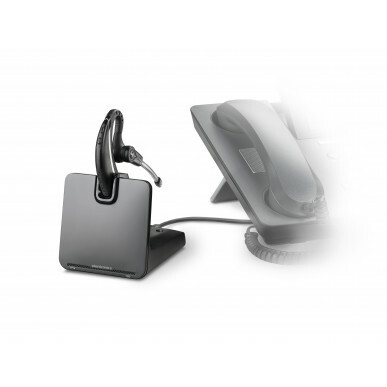 This device fits on your telephone base and lifts the hand piece up or down when you push a button on your headset, letting you answer and hang up calls from anywhere in the office. 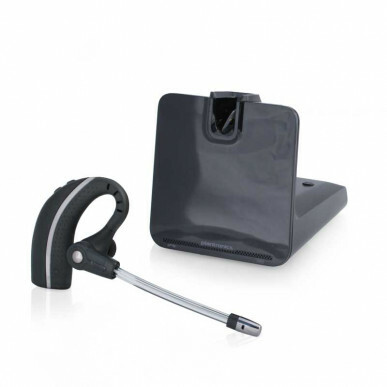 A handset lifter for this headset is available separately, or as a great value pack. 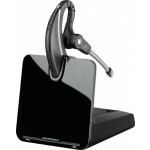 The Plantronics CS530 looks great and is perfect for those who want a discreet wearing style. The CS530 is quite unique and is the ONLY custom designed over the ear only wearing style - we think it's the most comfortable option for over ear wearing on the market. The sound quality in all the new CS500 series headsets is excellent and incorporates their Enhanced Digital Signal Processing (DSP) technology which is said to deliver more natural voice sounds. We don't dispute it but we think you'd have to be in a lab or have canine hearing to pick the difference. 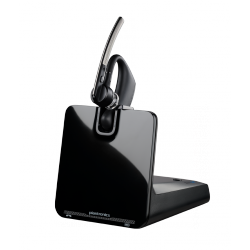 They have also cleverly incorporated a new Voice-dedicated DECT™ technology which means that it eliminates interference from wireless networks you may have in the office. 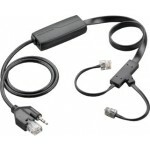 As more and more devices go wireless this is very important. The CS530 also offers noise cancelling too. This cuts down much of the background noise and really is a must in any busy office environment. If you have a very loud environment you should look for an "ultra" noise cancelling headset. The Plantronics CS530 also allows you the ability to conference in other headset users (up to 3). This is a brilliant feature in call centres and where a manager may need to listen in or be part of a call (for training or dispute handling). 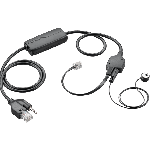 Plantronics has also given the CS530, and their other models in the new lineup, a very intelligent adaptive power system that increases or reduces power consumption, based on your distance from the base station. 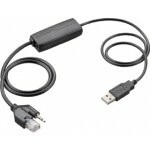 This extends battery life and gives you up to 6 hours talk time. Other headsets offer longer talk time and the compromise is because of the design as the battery has to be smaller than normal. If you're on the phone all day this may be something to consider. 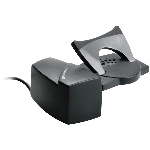 The CS530 wireless headset also features SoundGuard technology. This protects phone users from loud, potentially harmful noises. These 'acoustic shocks' are transmitted down phone lines as a result of dangerous customers yelling, blowing whistles, electricity spikes, weather conditions, transmission faults and the like. 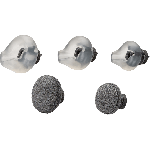 Without this feature you could potentially suffer from temporary/permanent hearing loss. Plantronics SoundGuard means you'll be protected whenever you are using your headset. 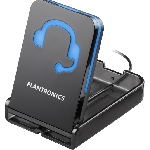 The main downfall of all office-only wireless headsets like the Plantronics CS530 is that they don't work with your computer too. The future of headsets is moving towards voice and computer convergence. 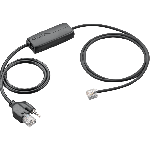 This simply means that more people will start to use their headsets for softphone IP applications, VoIP (like Skype) and voice recognition software like Dragon Speak 11 and MacSpeech. 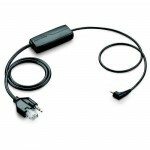 Products like the CS530 and the other 500 series models are all for the office phone only. Not everyone likes things sticking in their ear all day and over the ear styles are generally not great for glasses wearers. You do lose a bit of battery life wit this model (6 hours as opposed to up to 9 hours with the CS510. Also, with this particular model, the battery is not replaceable so when the battery life starts to wane there's not much to be done other than get a replacement headset (at least you don't have to get a whole new unit). 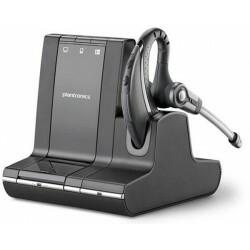 For office only phone applications the Plantronics CS530 is the best choice for those who want a discreet wearing style, The only real detractor is talk time so it you are busy on the phone all day it may not be up to the task. If you're on the phone alot or need the best quality sound (or just like the finer things in life! 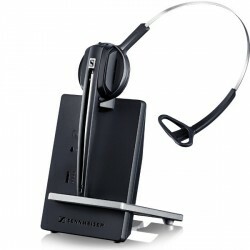 ), check out the outstanding Sennheiser phone only wireless models. The DW Office Phone comes with over the head and over the ear wearing styles. The over ear style has a moldable earhook to hold the headset securely and this means you don't need an in-ear earbud (which many people don't like, particularly if wearing the headset for long periods) plus of course if you decide you don't like the over ear option, you can still use the included headband. If you know you want an over the head style or if you work in a noisy office, the DW Pro 1 Phone has a comfortable, wider than average headband, as well as an ultra noise-cancelling microphone, so your caller won't hear the hubbub of your office. It's a little more investment for a whole lot more headset - absolutely worth it when you think about how much time you spend on the phone! On the other hand, if you're trying to persuade the boss to get wireless when s/he only wants to pay for corded, then Jabra have a great entry level wireless headset, the Jabra Pro 920. It's an over the head model but you can get an ear hook accessory and still pay less than the Plantronics options. 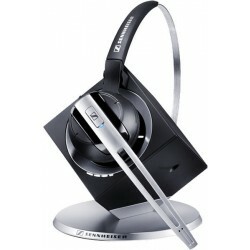 On the Plantronics front, the CS510 is a great over the head model with much better battery life. The CS540 has a choice of wearing styles if you're buying several for an office but does have some downfalls. Many people are buying multi-use headsets to keep their options open. 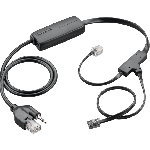 If convergence is in your future, then it pays to cover your bases now, rather than having to replace your headset down the track. 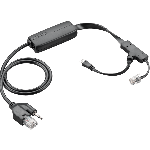 Check out the price difference between this and the other models which offer unified communications (office phone + computer and even mobile phone) for not much more and it will future-proof your headset purchase. 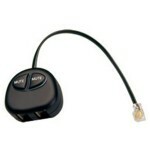 The Savi W730 has the same, over ear wearing style but can also be used with computer and mobile. 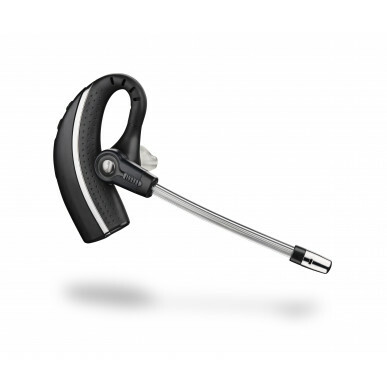 If your budget is tight, the Jabra Pro 9450 offers exceptional value for a phone + PC headset. If you like the over ear option but don't want an earbud stuck in your ear all day, check out the excellent Sennheiser DW Office.